Every Wednesday afternoon, the Fresh Start Swop Shop draws young children from locally impoverished backgrounds to patiently wait at the gates of the Smutsville Primary School. It is their opportunity to exchange bags of recyclable rubbish for products such as school stationery, toiletries, clothes, shoes, toys and sports equipment. For most of them, these are luxury items in their homes. Each bag is weighed by Rejoice and accordingly allocated ‘mula’ points, the equivalent of money by Antony. Each child has a card with their personal details on it such as name, age, school grade and their points. Each child receives a sticker on their hand with the amount of points on it. This is then recorded on their cards by Jacky and Edna sitting at the entrance to the shop. Volunteers have already allocated every shop item a number of points. The child surrenders the card to their personal shopper who patiently assists the child to make good choices and even to save their “mula” if what they want is more expensive than the mula they have earned. Bicycles and balls are among the most expensive items but many children have learned to make the decision to save for what they have set their hearts on. What they purchase is then recorded so that they can see at any time what they have spent their mula on! Fifteen children are allowed through the gates at a time. This enables the volunteers to give each child the personal attention to make their whole trading experience a pleasant occasion they can look forward to. By listening, making eye contact, expressing genuine interest in each young child, confidence, good decision making and self-worth is fostered. In the process they are unconsciously learning interaction skills, encouraged to make wise choices, how to save and to set goals to work towards. Such life lessons can only raise their hopes to create better futures for themselves. Growing up in a community beset by unemployment and the ills associated with it, physical abuse, teenage pregnancy, drug and alcohol addiction, hopelessness and helplessness, Fresh Start gives young children a way to experience positive acknowledgement from authority figures and self-empowerment through their own efforts. They leave the premises with a fresh fruit at the end of every visit. 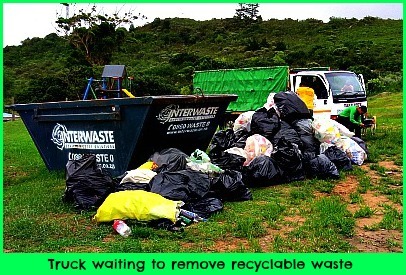 Furthermore, the environment benefits greatly from the more than a ton of plastic, glass and paper that is collected around the township weekly and delivered to Fresh Start from where it taken by two 7 ton trucks to be recycled. 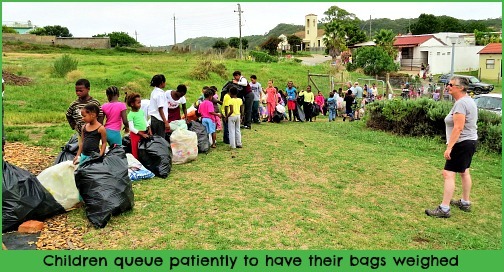 In return, over 600 township children are engaged in this project on a regular basis, swopping up to 500 items for bags of rubbish each Wednesday. Based on a similar successfully run project created in Hermanus in 2003, Fresh Start is a registered NPO (Non-Profit Organisation) initiated in Sedgefield by Antony and Jennifer Tooley in conjunction with Antony and Jennifer Ford in February 2014. It took some time to formulate the process but it was worth it as the whole project is very well organised. 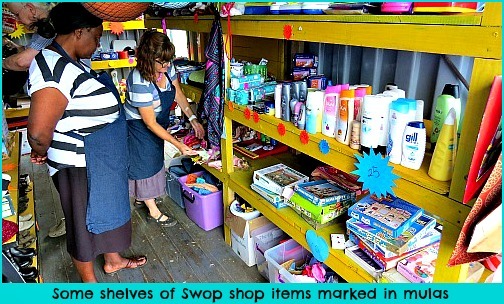 There are now between 15-18 volunteers from Smutsville and Sedgefield together who take turns to assist with the project and spend their Wednesday afternoons at the Swop Shop. Situated on the school grounds the shop is a cheerfully decorated container that can be stocked and safely secured. Children that show enthusiasm for the project are given the opportunity to become part of an upcycling team. 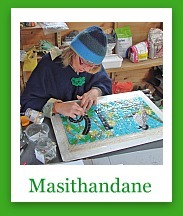 It is a Fresh Start programme that teaches learners how to make scarves, beanies and leggings by using a special loom. Skills like these, could help young people start their own businesses or at least earn an income sufficient to support themselves. 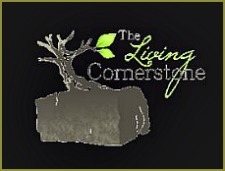 Other projects are underway to grow money-making opportunities for the community as a whole. The Giftcircle is a support group of cheerful givers who consistently contribute supplies bought, made or good quality second-hand goods to stock the Swop Shop with. Anyone with a heart for it can be part of the Giftcircle. Collection bins for shop contributions are available at Lake Pleasant Living, Dr Standers' Rooms on Flamingo Road, St Francis Church on Swallow Drive, Lemon and Lime in the Spar Complex. All projects facilitated by FreshStart, are managed by volunteers. No staff are paid and there are minimal overhead costs. The project needs more volunteers with a variety of skills. 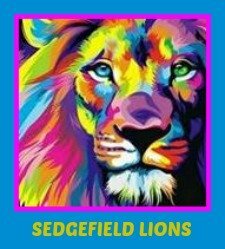 Some work takes place in Smutsville and other work is in Sedgefield or can be done from your home. Sewers, Fixers (People who can mend donated items e.g. Toys)Book- keeper, Creative Crafters, Knitters, Story tellers, Upcycling creators, Teachers, Writers, Artists, Public relations, Bakers, Fundraisers, Xhosa speakers, Sports people - rugby, soccer, cricket, netball. The UK Fresh Start website that keeps up-to-date with ALL the Projects that have been birthed as a result of the initial Swap Shop project in Smutville, South Africa. These projects include The Wednesday Club -a teaching facility, regular visits from The Mobile Clinic, Afrikaans lessons for Xhosa children, assisting the local school with the Soul Buddyz individuals' development initiative.....and other community projects.